Caroline Wardrop is a Canberra based photographer specialising in equine photography, with a love of nature and travel photography. 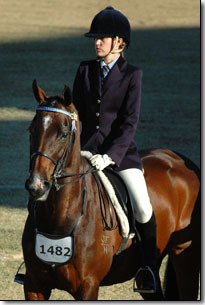 Caroline grew up in the leafy suburbs of Sydney and was introduced to horses at the age of three. Throughout her early childhood, her family travelled to the central west region of NSW every Easter holidays to experience “the land”. During these trips she took to riding like a duck to water, a passion that continues to this day. As a very lucky and very spoilt 13 year old, she was given her first pony and spent her teenage years hanging out at “the stables”. Every weekend she could be found at Pony Club, an agricultural show, a dressage day or any other competition she could get to. She has a number of Royal Show ribbons under her belt and her prized possession is a first place ribbon from the 2006 Sydney Royal Easter Show on her best friend – a beautiful Anglo Arabian gelding named Darcy. One of many frustrations throughout her competition life has been her groom’s inability to take nice photos (sorry mum!). Nailing it at a competition is one of the best feelings in the world. Having a fantastic photo to remember the moment just makes it better. With a personal understanding of what a rider wants out their photos, Caroline began by capturing her friends at competitions. 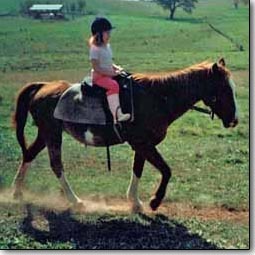 Over time, she has refined her skills to provide a product that captures the best of both horse and rider. Caroline’s love of animals does not stop with horses. She has a BSc in Agriculture, majoring in animal science; her day job is in the field of natural resource management; and she is currently undertaking her Masters in Wildlife Conservation. She loves capturing the beauty of the earth, particularly the animals that inhabit it. 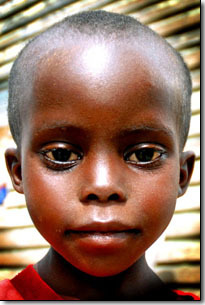 Caroline was awarded ‘highly commended’ in the human portrait class at the 2010 Sydney Royal Easter Show Fine Art Competition with her photo, New Kid in Town – East Africa Mission Orphanage (see right). Her work has been printed in a range of publications including The Horse Magazine, The Land, The Eventer, Horse Deals and the 2009 Department of Agriculture, Fisheries and Forestry Annual Report.